Discount Cards Are A Proven Winner! offering you up to 65% profit. Your donors will enjoy hundreds of dollars in savings for only $15.00 with our Discount Card Fundraiser Program. 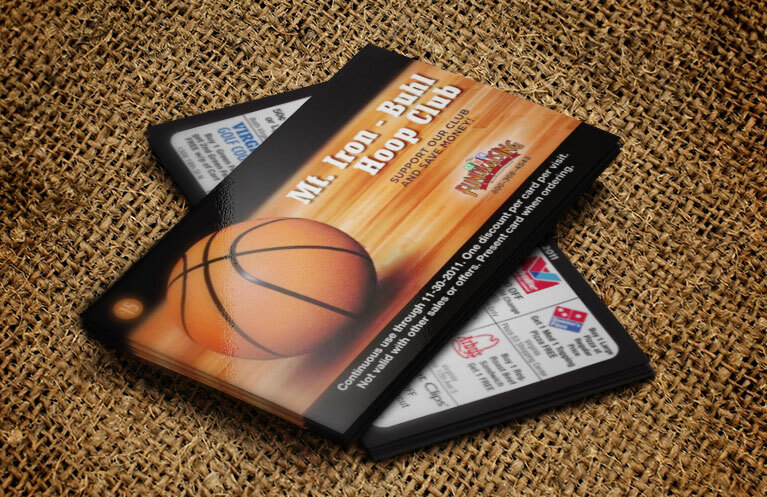 All cards will have your group’s logo or picture on the front in full color. If you do not have a logo we can create a “look” for your card free of charge. Each card will have 15 merchant offers with logos in full color. Simply fill out our merchant wishlist and our merchant specialist will do the rest. Our specialists will contact every merchant on your wishlist and build you a card that your supporters will be begging you for year after year! It’s no wonder the fundraising card has been a huge success! Your donors can keep the Discount Card in their wallets and purses and enjoy the savings though out the year. A great fundraiser that will make you money and save your donors hundreds of dollars!